Yes, I emphatically agree with them. Trump took just half a step to dismantle the JCPOA when a full step is needed. His action does not fundamentally change American policy but puts the burden on the Senate. This represents a compromise between Trump's original intention and the views of those in his administration who oppose such a fundamental change. The U.S. government declares Iran the foremost terrorist state but does little or nothing in Syria to curb Iranian entrenchment. How do you explain this inconsistency? The Middle East is a complicated place where consistency may be impossible to achieve. Opponents in one theater are often allies in another. That said, I wish Washington were more fundamentally hostile towards the Islamic Republic of Iran to the point of seeking to change the regime, but that has never been the case in the almost forty years of Khomeinist government. The American abandonment of Kirkuk by favoring the Baghdad government backed by Shiite militias against the Kurds is another example of favoring Iran, is it not? That's unfair; Washington did not abandon the Kurds. They took an extremely unwise step in holding a referendum in late September and they are now paying the price for that mistake. You cannot blame the Trump administration for a referendum it clearly and consistently opposed. You cannot call the Americans not coming in and saving the Kurds from their mistake "abandonment." 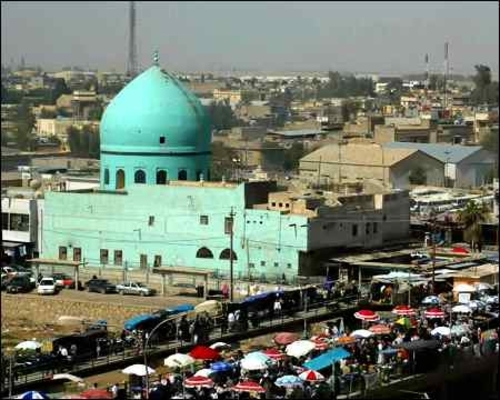 Kirkuk: The Kurds lost it due to their own mistakes, not American perfidy. Iran's aggression across the Middle East seems unstoppable given American passivity and Russian cooperation. Does this mean a looming war for Israel? Yes, a confrontation does seem likely, probably in Lebanon or Syria. As Iranian power expands, Hezbollah is pulling its forces from Syria and directing them against Israel. The likelihood of a Hezbollah-Israel war grows with time. Speaking to the American Congress in 2015, Israel's Prime Minister Benjamin Netanyahu said: "Iran's regime poses a great threat not only to Israel but also to the peace in the entire world." In an interview with me, the German political scientist Matthias Küntzel emphasized the chiliastic nature of Iran's foreign policy, pointing to Ali Khamenei describing the Islamic revolution of 1979 as the "turning point in modern world history" and saying his movement aims to create a "new civilization." How seriously should we take this outlook and how should we respond to it? Iran's leadership undoubtedly sees itself at the vanguard of a revolution as earlier the Communist, Fascist, and Nazi leaderships did; this is not in dispute. But all these regimes over time lose the support of their subject populations, something again taking place in Iran. Almost forty years after the Islamic Revolution, only a small minority of Iranians enthusiastically support it. This confronts the leadership with a problem: it wants to act aggressively but it understands its own fragility. Any day now, there will be a bakery that has no bread or a gas station without fuel. The result could be a riot that spreads across the country and overthrows the government. I see that coming but, of course, cannot predict when. We who are on the outside should take steps to bring that day closer. Is not the Iranian regime stronger than ever, after the ending of sanctions, billions of dollars in cash pouring in, and lucrative contracts with the EU pending? It has enough to improve the wellbeing of the population and become even more aggressive internationally. Your calculus overestimates Tehran's economic competence and underestimates the Iranian population's expectations. From what we hear, there is massive disappointment with the JCPOA, leaving the regime yet more vulnerable. 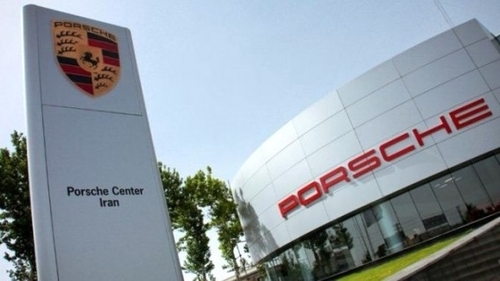 As this "Porsche Center Iran" suggests, Iranians have a keen taste for luxury. How do you evaluate the resignation in Lebanon of Prime Minister, Saad Hariri and his allegations about Iranian interference? This is part of the immense drama surround Crown Prince Mohammad bin Salman of Saudi Arabia. It's hard at this early date to sort out what exactly Hariri's surprise and irregular resignation means. I suspect MbS found him weak and wants to replace him as political leader of Lebanon's Sunnis. What is your assessment of the Trump administration's Middle East policy up to now? In the campaign, Trump talked about making major changes to U.S. foreign policy in general and toward the Middle East especially. Nine months later, however, it appears policy has returned more or less to where it was. Troops are returning to Afghanistan, the American embassy remains in Tel Aviv, the Palestinian-Israeli "peace process" is revived, the JCPOA with Iran continues, Erdoğan is praised, funds are denied to Egypt's government as a punishment, and Islamism is no longer explicitly named. Why this reversion to the conventional? Because Donald Trump lacks both the philosophical foundation and the specific knowledge to implement his radical vision. He ended up relying on the same people he had criticized because they are the experts. We see in Syria right an alliance of the nasties: Assad, Putin, Rouhani, Erdoğan. Is the Western world, and especially Israel, confronting a new axis of evil? As you indicate, the forces in the Middle East are now much more malign than when George W. Bush coined the term "axis of evil" in 2002. From Israel's point of view, the situation is more dangerous, what with a weaker United States, a stronger Russia and Iran, plus a hostile Turkey. But Israel also gains from this circumstance, because a weaker United States and a stronger Iran means that other neighbors, in particular the Saudis and the Egyptians, are open to working with it in a way that has never been the case. Your recent article in the Washington Times, "Saving NATO from Turkey" argues that NATO's main goals today are to contain and defeat Russia and Islamism. This reminds me of Bernard Lewis' seminal 1954 article drawing a parallel between Communism and Islam. Could you ponder this similarity? Bernard Lewis, "Communism and Islam," International Affairs, January 1954, pp. 1–12. Good question. But I would say this is more of a coincidence than a parallel. Putin is not a Communist but a Russian nationalist. He doesn't have an ideology to impose around the world; rather, he is expanding Russian power at a time when the Russian population and energy resources are diminishing. So, it is a defensive action, not comparable to Communist aggression sixty years ago. Further, Islamism was a weak force in 1954 and a very powerful one today.